Achievements: Phoenix finished in grand style from the 6-9 mo. class. 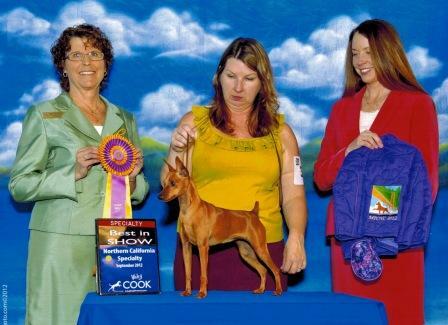 She has a superlative temperament and the movement, head, style, etc. to go with it. 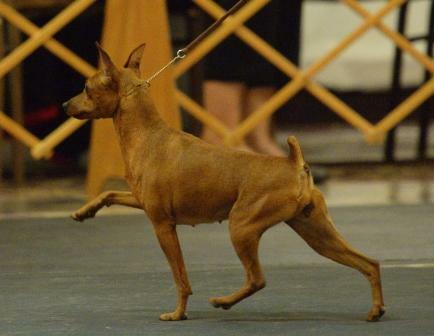 She was Best of Breed at the MPCNC Specialty 2012 when 9 mo. old handled by her co breeder, Melissa Cole. 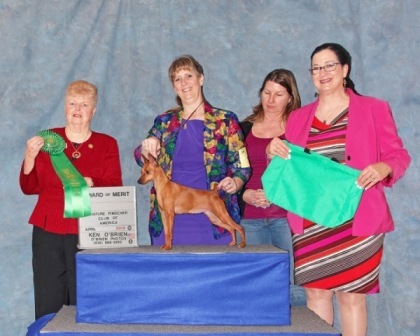 In Nov. 2012, Greater Tucson Min Pin Club, Phoenix won her 2nd specialty handled by her coowner, Melissa. Kim Swilling and Ruth Tarlton recently purchased Phoenix and she will be specialed by them in 2013. 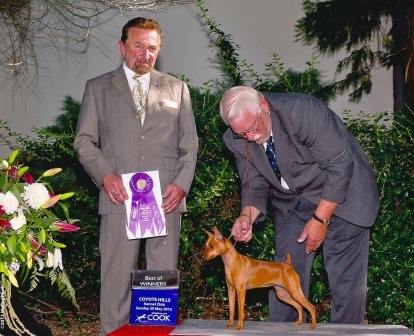 Starting the New Year in grand style Phoenix won both Breed wins at Palm Springs and also more Breed wins and a Group II in Feb. At the MPCS National in Apr. Phoenix was awarded AOM at 3 of the shows! She now sits as No. 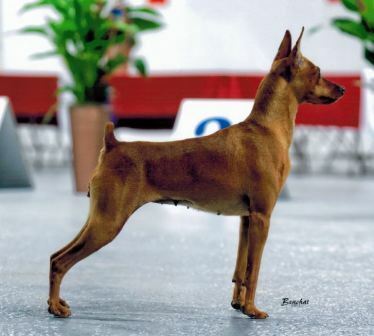 3 Min Pin in breed points. Phoenix ended 2013 as No. 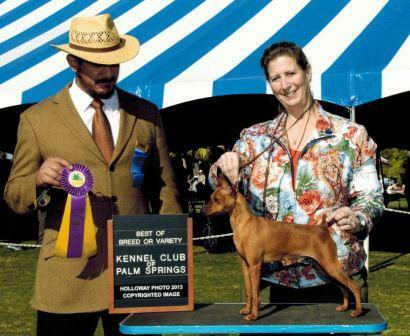 4 in Breed Points. After the National, she returned to me for a litter and before she came in season Meryln specialed her. 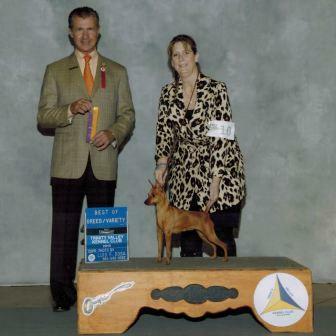 In a short time she not only won a Reserve BIS but also two Specialties! 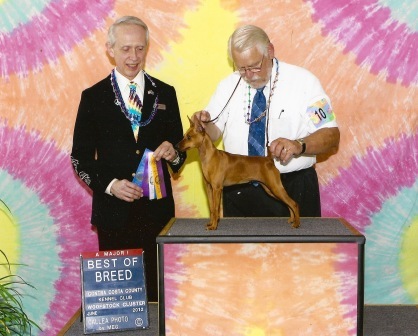 She has now been bred to Ch. Wannabee Lenny Loves the Ladies and we are awaiting her litter.